Looking for a last minute Halloween costume to go out tonight in? 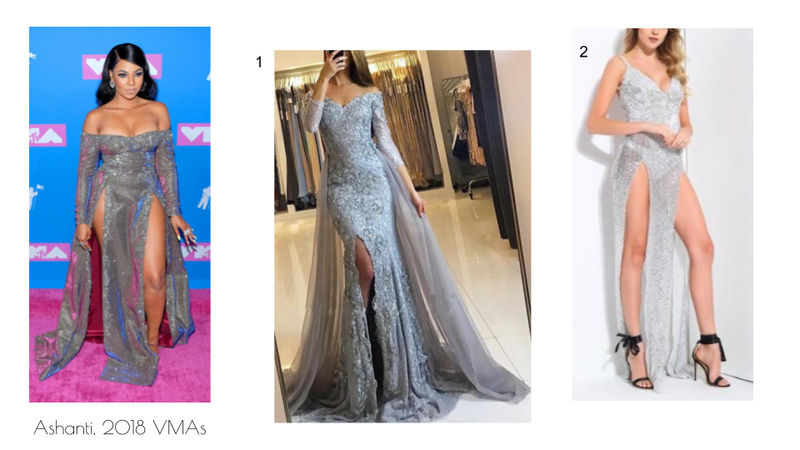 Chances are you have almost (if not everything) you need in your closet to dress up as Meghan Markle, Duchess of Sussex! 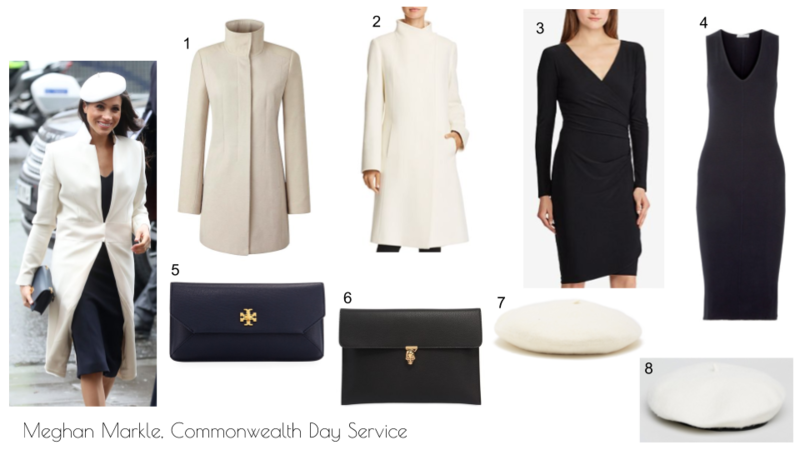 The outfit Meghan wore to the Commonwealth Day Service earlier this year can be easily replicated with a little blue or black dress, clutch bag, a white or cream-colored coat, and a beret. Add that gorgeous smile and you’re good to go for Halloween 2018! 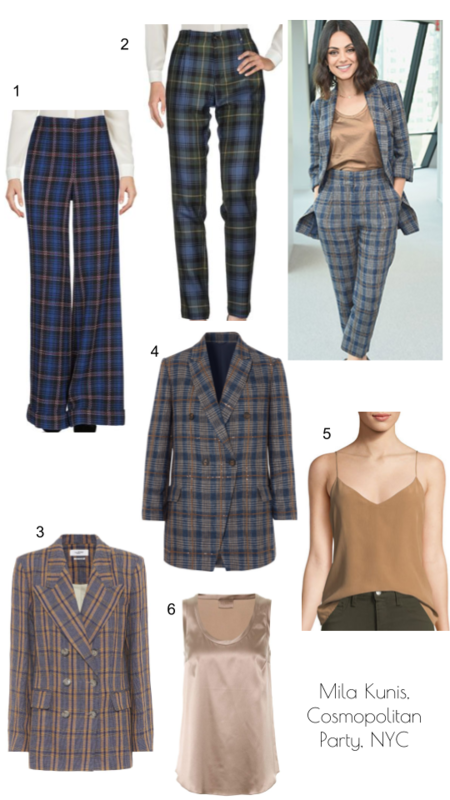 See below for items inspired by Meghan Markle’s look. It’s been too long since I’ve done a Wardrobe Wednesdays post! I’m a bit rusty, so just bear with me. Mila Kunis attended a Cosmopolitan party in New York City celebrating her cover last week in this amazing plaid ensemble. She wore a matching blazer and pant with blue and brown hues, sporting a tan-colored tank underneath. I don’t think I’d be able to pull off this matching suit myself, but it looks so great on her! I do love an oversized blazer, and Mila Kunis makes it seem so effortlessly cool to wear on a petite frame with this look. The original pants are completely sold out, but the blazer is still in stock (marked with *). Check out the links below for some other items inspired by this outfit! The actress was spotted this week in Los Angeles wearing a simple denim midi dress paired with strappy black heels. The sleeveless dress would have looked super casual had it not been combined with those cute heels, in my opinion. 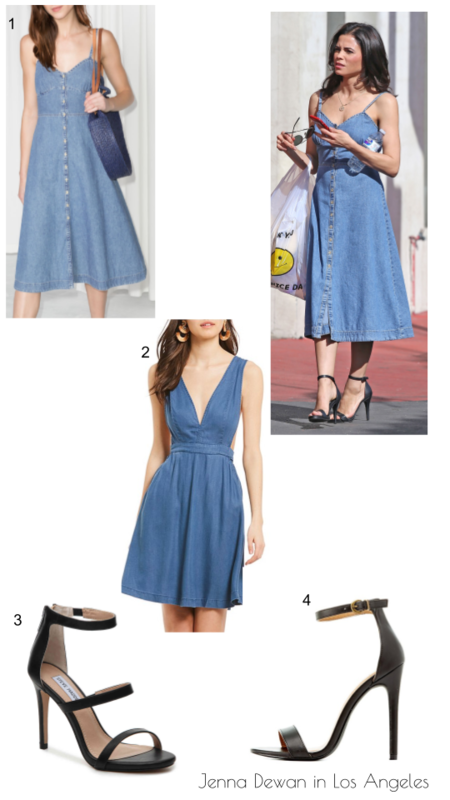 It’s been so long since I’ve owned a denim dress, and now I want one. If the weather in NYC would just hurry up and actually turn more spring-like, maybe I’ll get myself a denim dress to wear this season. 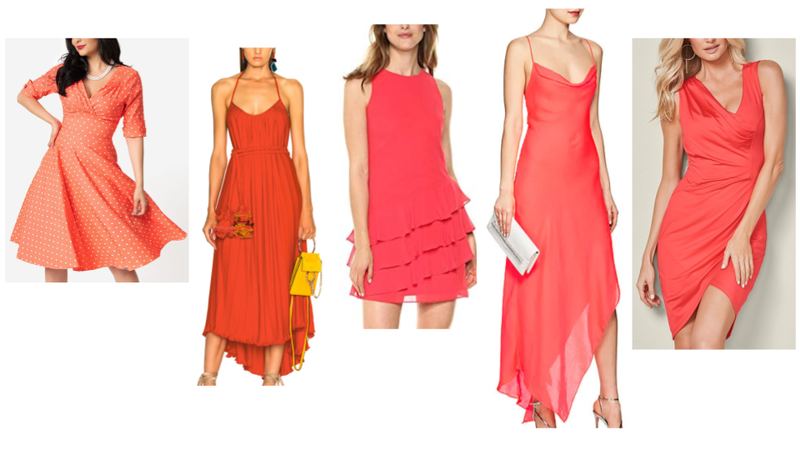 See below for the original dress (marked with *) and some other items inspired by Jenna’s look. Welcome to the first installment of #TWBT (The Whisper Box Talk) where I discuss happenings in the world of pop culture and entertainment! As most boohoo shoppers probably did, I got a promotional email from the UK brand about The Zendaya Edit a few days ago. Some of you may already know this, but if you don’t I’ll make it explicitly known right now that I LOVE Zendaya Coleman’s style. It’s so eclectic and sometimes risky, which makes it so much fun to keep up with. Needless to say, I clicked through to the edit immediately. I didn’t expect to be disappointed, and I definitely wasn’t. While scrolling through the edit, I noticed many of the color schemes where quite subtle, with lots of white and yellow. 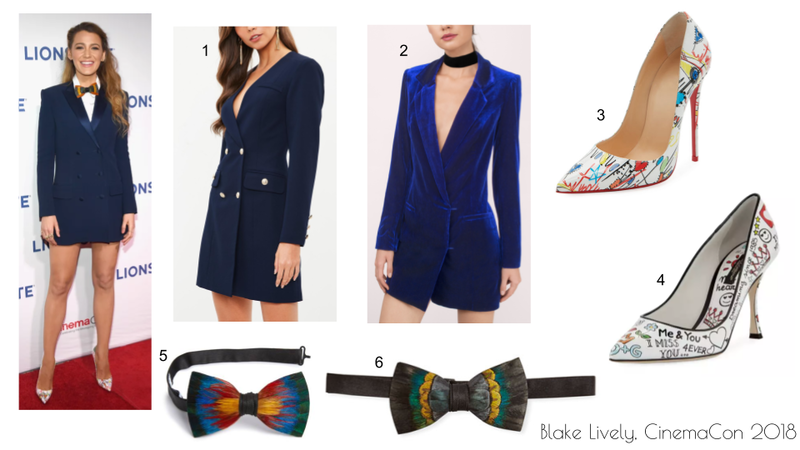 There are some bold pieces in the edit with vibrant blues and colorful stripes, but for the most part, Zendaya seems to be going for a calm spring vibe with these pieces. One of the most interesting ensembles from the photoshoot Zendaya did for this edit is the stripe satin ruffle maxi dress in red and white. She pairs the sweet dress with a pair of robust sneakers, which just goes to show how much of a risk taker the actress is with her fashion choices. She does the same with a pastel blue maxi dress of similar style. I think my favorite piece from the edit by far is the striped maxi duster coat, not only because I’d totally splurge to buy it, but because I think it truly embodies Zendaya’s fierce and unapologetic style. Even Paris Hilton is rocking it! I also wouldn’t mind getting cozy in this pink sweater or going sporty chic in this blue bodycon dress with orange and yellow stripes. So far, the edit has received complaints for not having plus sizes. It appears the plus sizes sold out first and will be restocked, according to boohoo. Regardless, I don’t think Zendaya should have to choose clothing for an edit that she can’t personally model herself, as she isn’t plus sized. 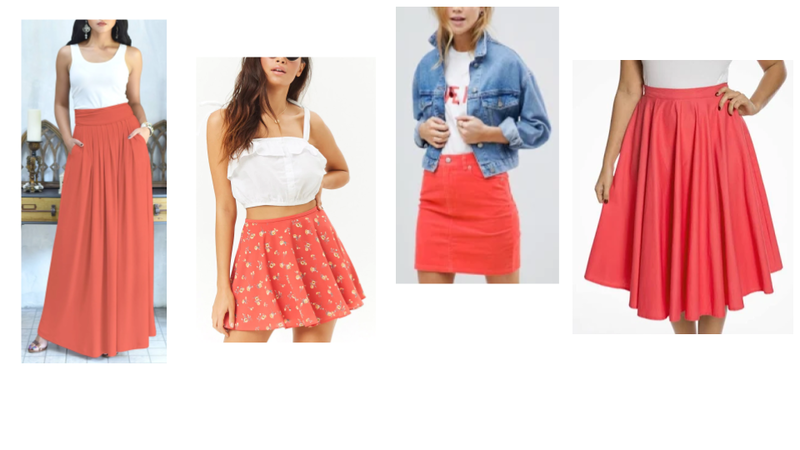 Maybe boohoo will get a plus sized actress or musician for their summer edit? Shop The Zendaya Edit over on boohoo.com.